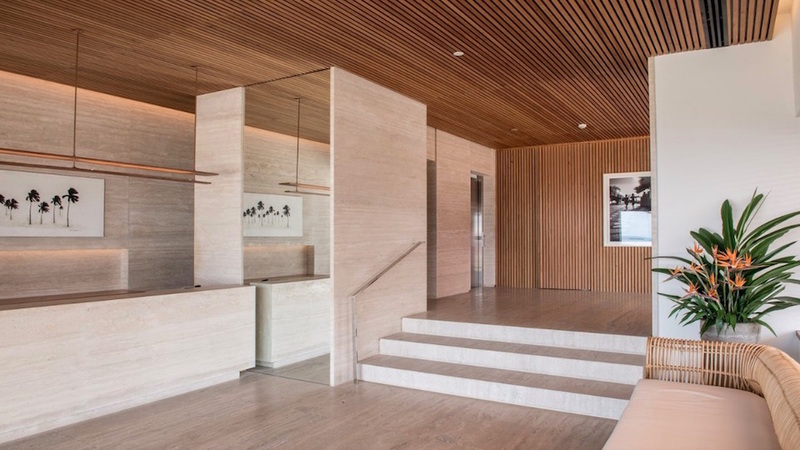 Janeiro is Rio's newest boutique hotel, situated in the oceanfront Leblon neighborhood. 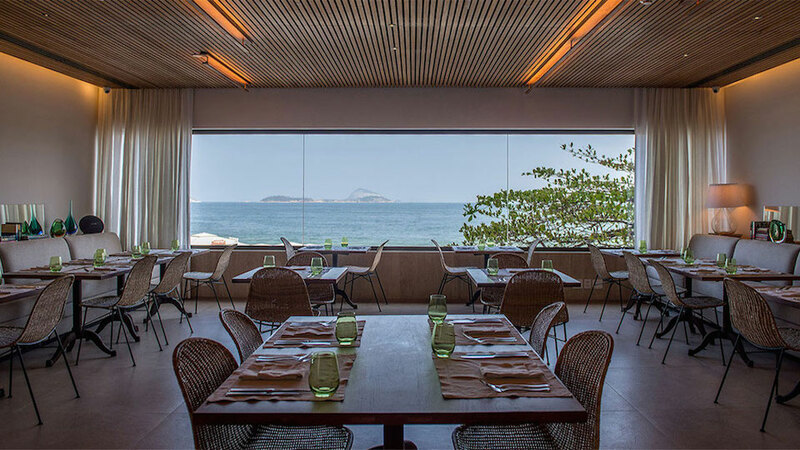 It's located away from the touristy Ipanema and Copacabana beaches, but near to other dining and entertainment pleasures in this city that only rarely sleeps. The design is elegant and spare, built with eco-friendliness in mind, for a clientele that savors both luxury and sustainability. 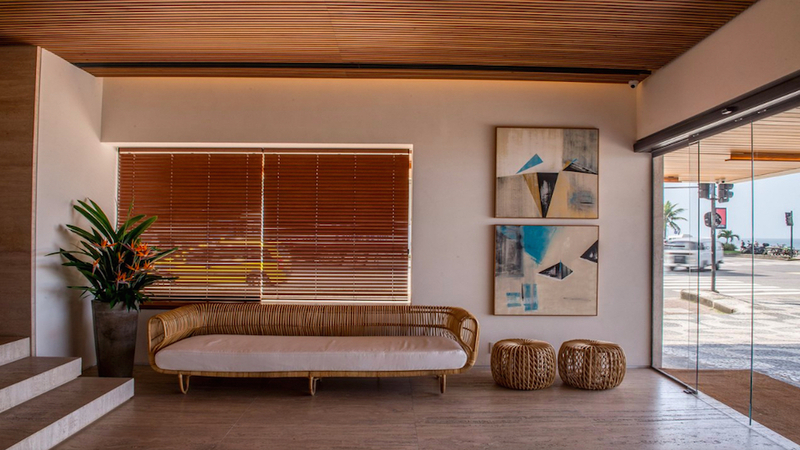 Famed designer Metsavaht Osklen has said, "I want Janeiro to be a living embodiment of aligning aesthetics with positive environmental practices." He's succeeded in a very ambitious way. On-site amenities include a restaurant that features farm-to-table dishes, and the Little Pool Bar, an intimate space to sip designer cocktails, relax in the plunge pool, and watch the sun set through a majestic circular landscape window. 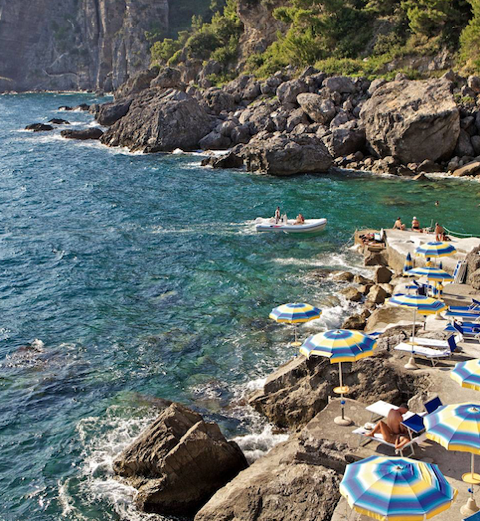 There's also an on-site spa and access to a private beach. 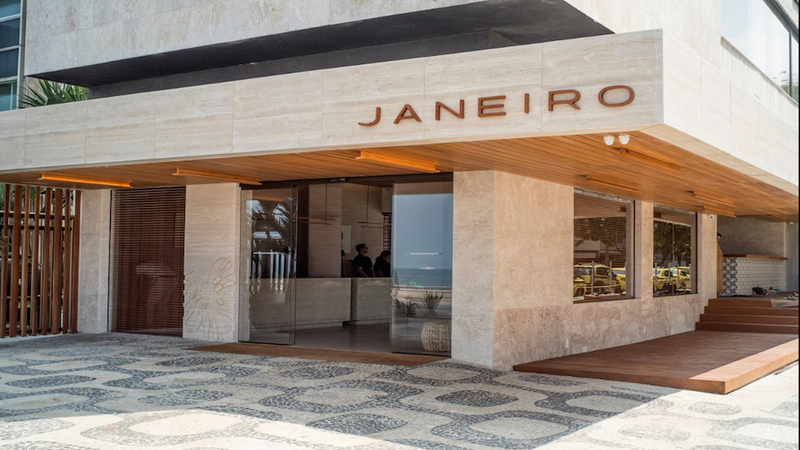 Janeiro hosts 53 rooms total, all dressed smartly in blond freijo wood and Travertine marble and all with breathtaking views of the white-cliffed Ilhas Cagarras: visions of blue sky and blue sea stretch to the horizon. Suites feature an open floor plan with minimalist design and a bright, airy feel. Soaring windows and a swing chair complete the casual chic vibe that invites you to relax and indulge in the beauty of the setting.